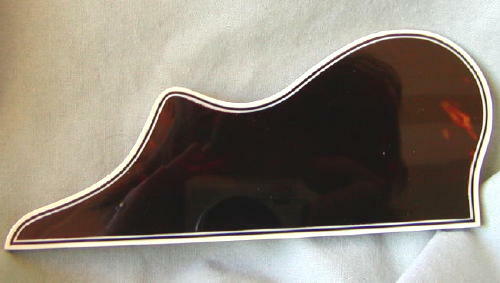 This is the pickguard for the traditionalist. 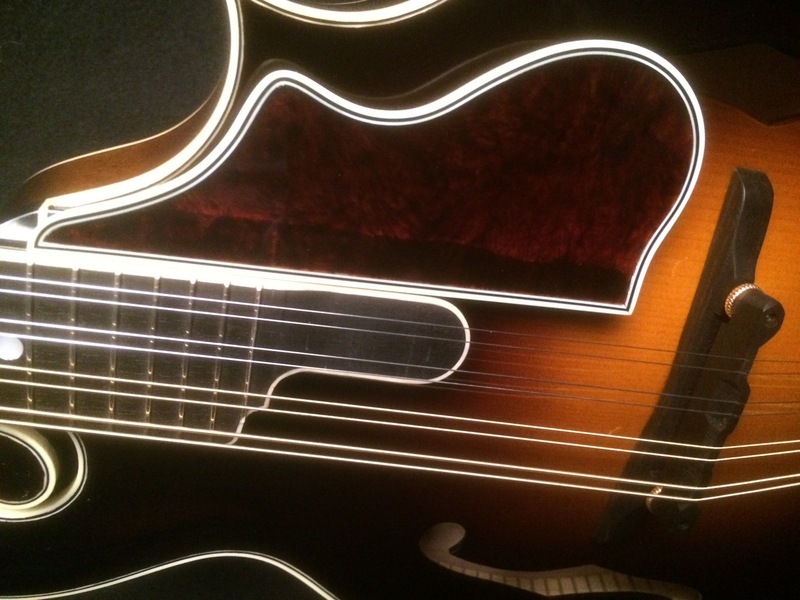 It is in the true Lloyd Loar style – fully bound, with either white-black-white, ivoroid-black-ivoroid or just ivoroid binding. 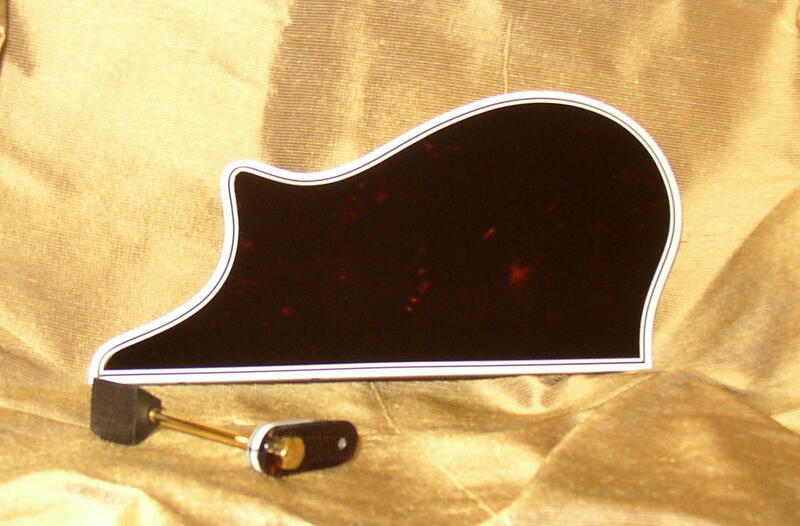 A matching mounting bracket is included. A great choice for both new instruments and vintage models. 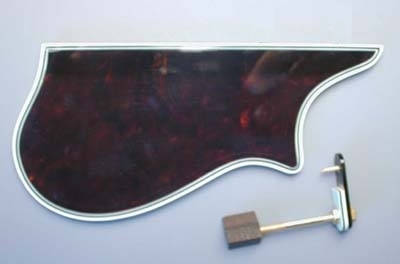 It is made with faux-tortoise shell celluloid material, and has an ebony reinforcing strip and clear acrylic backing for increased strength and stability. 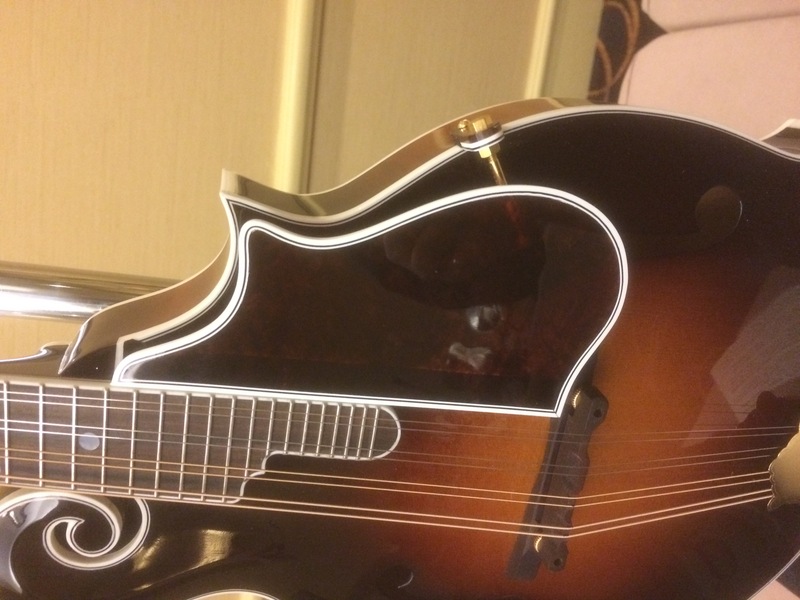 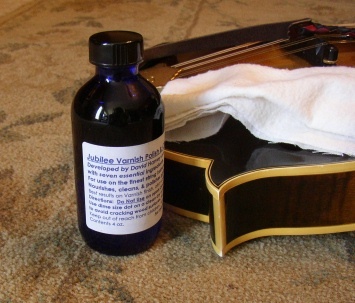 Of course, it is buffed to a high sheen and looks great on a mandolin.